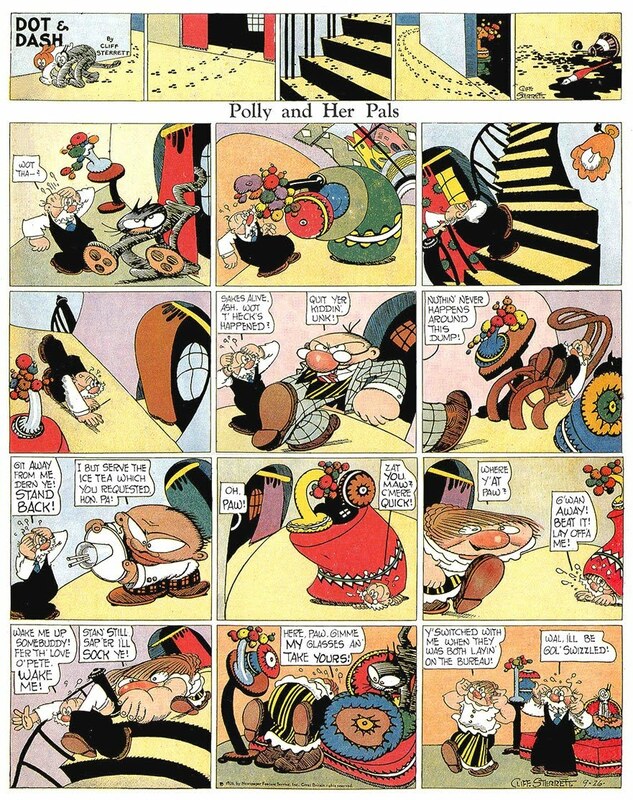 From the Spanish blog La Cárcel de Papel comes news that Cliff Sterrett's Dot & Dash strip (a "topper" strip that ran on the same page as Sterrett's Polly and Her Pals between 1926 and 1928) has been reprinted by Portuguese publisher Manuel Caldas. This is a 64-page book with an introduction by Domingos Isabelinho. Caldas is a publisher known for the quality of his archival projects, and this new book shouldn't disappoint. Samples from the book can be seen at La Cárcel de Papel. Caldas is also reprinting Warren Tufts's Lance in Portuguese and Spanish editions. Samples of the strips can be seen at http://lance-by-tufts.blogspot.com/. Mattotti illustrates Lou Reed's "The Raven"
What's missing from this book?